Government have revised the Dearness Allowance of State Government Employees and Dearness Relief of Pensioners with effect from 01.07.2015. The Govt Order GO(P)No.525/2015/Fin dated 18.11.2015 published. The rate of DA will be enhanced from the existing rate of 86% to 92% with effect from 01.07.2015. The DA at the enhanced rate will be paid in cash with the salary for the month of December 2015 onwards. 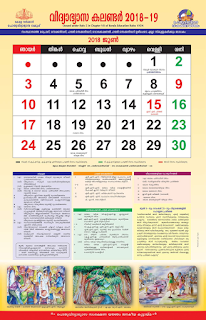 The arrear for the period from 01.07.15 to 30.11.15 will be drawn and credited to PF. Click the below link for downloading the govt order published by Finance Department. Dearness Allowance and Dearness Relief - Revised to 92%. GO (P) No. 525/ 2015/Fin dated 18.11.2015.